Thanks, we will get with you soon! Your guided fishing experience is only a click away! Please provide us with a little information about the trip you'd like to schedule and we'll do the rest. We look forward to seeing you on the water. Click here for more information about our guided trips. Experience, there's no substitute or short cut to success; it's the difference between simply fishing with a guide and having a fully guided experience on the water. Experience can turn a day of challenging conditions into a fun one. 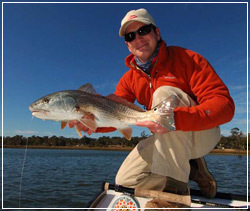 Experience imparts knowledge that the angler can take to their home water. Experience puts you face to face with your quarry. Experience is how we create advantages in angling.